Have you heard about SchoolhouseTeachers.com? This post contains affiliate links. What this means is we make a small commission if you purchase the resources we recommend. You are not charged any more for the product! We NEVER recommend anything we would not use in our own home. We appreciate your support and help in keeping our business going. Hey Everyone! Since a lot of you who visit our site are homeschool families, I though it would be fun to do a little review of SchoolhouseTeachers.com, an online teaching resource which is a division of The Old Schoolhouse Magazine. I know how you homeschool parents are. You love to examine homeschool grads to see how they turned out. Are we all on the nerdy side? Do we know how to interact with people our own age? How are our job prospects compared to our non-homeschooled peers? For the most part, we are all pretty normal 🙂 That’s a relief….the world gets fairly worried about us. Because it is neat to hear each other’s journey’s, I thought you might like to hear a very small part of my home education. I attended public school from Kindergarten through 4th grade. I was a bright student I guess you would say. So much so that in 3rd and 4th grade I spent a good part of my school day running errands for the teacher and grading the papers of my fellow classmates. 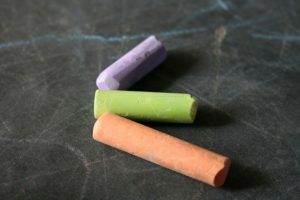 My parents felt God calling them to homeschool my brother and me for several reasons, one of which was the lack of challenge I was receiving academically. At first I resisted. I was not happy to be taken out of school and away from my friends. Switching from Saxon to another math curriculum was very frustrating and oh-my-lands….METRICS. I don’t know how many tears I cried over that. 5th grade was challenging to say the least, just not in the way we expected. I am so thankful my parents behaved as…um…parents, not my buddy, because a buddy would have given me my way and put me back in school. They did not. Once I figured out circumstances were not changing, I guess I altered my attitude and actually enjoyed the next year of homeschool. I completed 6th and 7th grade in the same school year, so I graduated high school a year early at age 16. My home education opened up many opportunities that I would not have otherwise had. Some of these opportunities led to the business I began immediately out of high school (a dance and music studio), as well as the sequence of events that have turned into No College Debt. Yes, I am thankful! When I was schooling, we did all of our schoolwork with books and the library, minus a computer-based encyclopedia (you know, the kind you inserted a CD for) and my all time favorite educational computer game – “Where in the World is Carmen San Diego?” Such memories. Internet surfing and “googling it” may have been around, but I didn’t know about it. I was ecstatic when around age 14, I got to set up an email address! So homeschool has wildly changed since I graduated (gulp) a decade ago. Honestly, I am slightly opposed to all this online, plugged in homeschooling. I’m sure it is primarily because it is different than how I schooled. The world being “at our fingertips” definitely has a set of pros/cons for another discussion, but if you family chooses to use online school resources, I am excited to share about SchoolhouseTeachers.com! Last Monday, I was at a small homeschool convention with a booth for No College Debt. I love meeting and talking with fellow homeschoolers. I also love to observe people. My booth was right across from SchoolhouseTeachers.com. The publisher of The Old Schoolhouse magazine and her delightful little girls were running the booth. I’ve heard of SchoolhouseTeachers.com before, but because of my (slight) bend toward real books, hadn’t given it much thought. Plus, with only a one-year old daughter, we aren’t exactly in homeschool mode just yet. SchoolhouseTeachers.com boasts courses in a host of subjects for all grade levels Preschool-12th grade. The courses often comes from homeschool parents with expertise in a particular area, everything is in a Christian environment, and many of the high school courses qualify for high school credit. There is so much to list, I couldn’t possibly do so here! Jump on over and check it out! Their live chat feature is great for asking questions with instant answers. When I got home from that convention, I looked up the website in detail. I was very impressed just by the list of courses available. Josh and I immediately found several courses that WE were interested in! I have taken up a little art, so the art classes looked good to me. We loved the Bible class descriptions (especially the one on the Gospels) and we need some education on filmmaking and graphic design, so those courses will benefit us too. Starting in August, Josh will be teaching Spanish to some of our local homeschoolers in East Tennessee, so he is glad to have another supplemental tool for his classes from the SchoolhouseTeachers.com. I have already watched a couple of the documentaries on Christian heroes of the faith which have been great. I think we will enjoy having a one-stop-shop resource for so many different subjects, instead of sorting through YouTube or a Google search. While I plan to primarily use “real” books for our homeschool, it is great to have this option as a supplement. What’s even better is the value of it! At $12.95 per month for the whole family’s membership, one bypass of the McDonald’s parking lot each month will easily pay for this. And the first month can be tried for $1 to see if it is a good fit for your family. What a great deal and blessing! Curriculum is expensive. A yearly membership to Schoolhouse is $139. If you wanted to use SchoolhouseTeachers.com as a base for all your main subjects, you can. They help you record grades and everything. You wouldn’t come close to purchasing the whole family’s curriculum needs for this one low price. I like the idea of using this resource and then supplementing with lots of living books. My mom spent hours and hours reading us biographies and historical fiction and character books. That aspect of homeschool was hugely influential to me and I don’t want to bypass that for the convenience of online resources. Don’t forget about college credit! We couldn’t post on No College Debt without mentioning this 🙂 SchoolhouseTeachers.com courses could easily be supplemented with additional material as needed to earn college credit for those high school credits! For example, say your child needs to take the American Government course. Through-out the school year, supplement with additional material (based off of the CLEP American Government test syllabus) and at the end of the course, go to a local testing center to take the CLEP American Government exam. Upon passing, your student has just earned three college credits – a one-semester class! I love that homeschool is so tailored to the individual family and the individual child. It is YOUR homeschool and your choice how to educate! After all, you know your child best! Would SchoolhouseTeachers.com benefit your homeschool? How do you feel about online vs. real book education? Does your child tend to learn better in one environment or the other? Please share your thoughts below or send us an email at info@nocollegedebt.net. Discussing with one another is so helpful and encouraging! We are all in this together! Sign me up for the Spam-Free E-mail List!